The Program Support Instructor has a diverse yet important role in our camp environment. The Program Support Instructor works as an additional water qualified person, to provide extra supervision and assistance in various camp areas but not limited to; waterfront programming, camp programming, the Reach program, program maintenance, and Staff Development Programming. In regards to any waterfront assistance, the Program Support Instructor will be responsible for working alongside the Head of Water Front to ensure the safe and secure operation of HOC’s Waterfront. Together, they will provide assistance with daily lifeguarded free swims, daily swimming lessons for the South River-Machar (SRM) Day Camp Program, and instruct and supervise HOC's LIT and CIT instructional swim periods. When required, the Program Support Instructor will work as both a land and/or water activity instructor as well. Instructors provide program instruction, based on an outlined program curriculum and Community, Leadership, Accountability, and Performance, fundamental qualities. Standards are developed on skills-based progressions through an established awards system already in place at HOC. Instructors are expected to teach classes that are age appropriate, productive, and fun. This includes being prepared to teach in a variety of weather conditions (rainy day programs). Evening instruction (2 days) of evening activities is an expectation of all Activity Instructors. Activity Instructors are required to maintain their program areas and equipment, ensuring adequate equipment supply and safety during daily program development time (PDT) each day (1 hr) as required. Every week instructors are also responsible for writing personal evaluations on each camper they teach during the week. As a part of the larger camp community activity instructors also expected to actively participate and provide supervision during All-Camp Activities throughout the week. 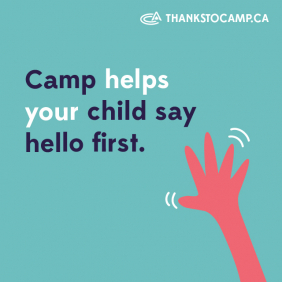 This includes program periods that may not be outlined on daily schedules, such as meals, section activities, free swim, campfires, and others as assigned. Provide daily supervision and lifeguarding for free swim periods and sections activities. Provide assistance to the S.R.M Day Camp Swim Instructors, for daily swimming lessons. Provide assistance and supervision for HOC's Staff Development swim programs. Provide assistance and supervision for the Reach Program as required. Provide assistance to Camp Programs as required by the Program Director (PDT, inventory's inspections, instruction, etc). Provide supervision for any additional waterfront programming. Daily program development/maintenance time (1 hour) as needed. Evening activity instruction ( Monday, Tuesday) (1 hour). Thursday- compose detailed camper evaluations (for any program instructional classes assigned throughout the week). Work One “Holdover Weekend”. Friday evening cabin supervision (if required) and provide programming and supervision for holdover campers (campers here 2+ weeks) Saturday and Sunday. All staff are required to deliver every day our Brand Promise “Best Summer Of Your Life” in each camper an staff interaction. Guided to success in delivery of this promise by our four core principles, Community, Leadership, Accountability, and Performance. Genuine interest in working with children in the camp community. Experience teaching and communicating with children of varied ages. Specific camp program experience an asset.